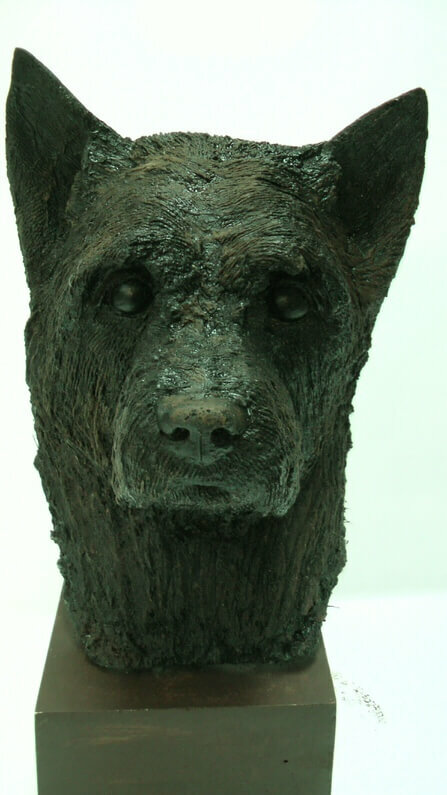 Below are a selection of private commissions where the owners have given permission to display here. 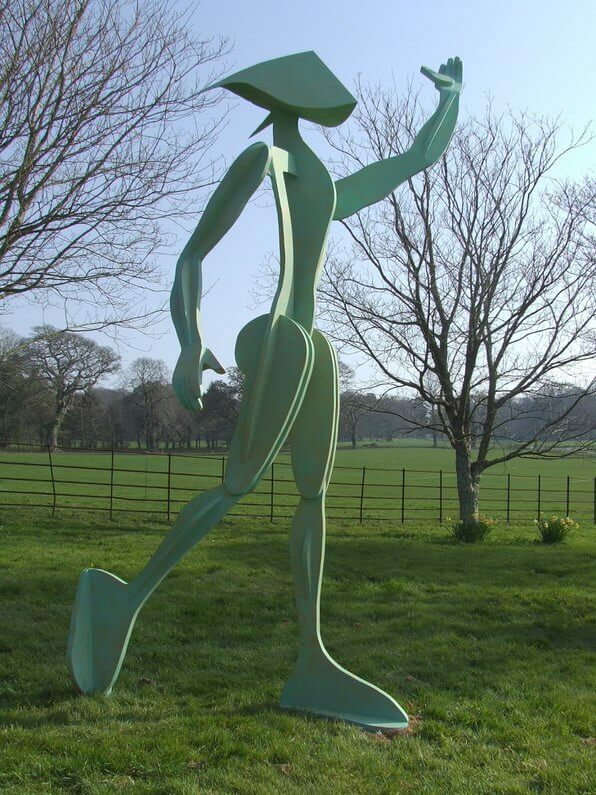 ‘Celebration’ 3.5.meter tall contemporary work, situated in a private garden in Cheshire. 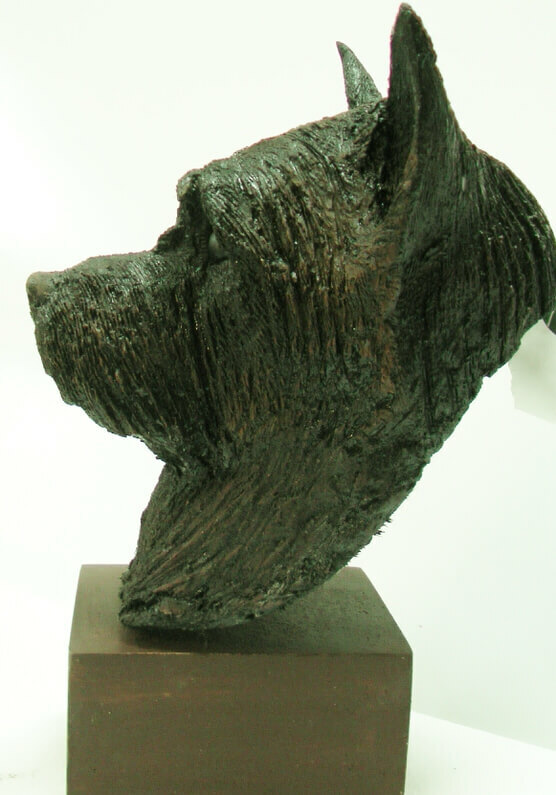 Life size head of a Cairn Terrier, bronze resin composite, commission for a client in Scotland. 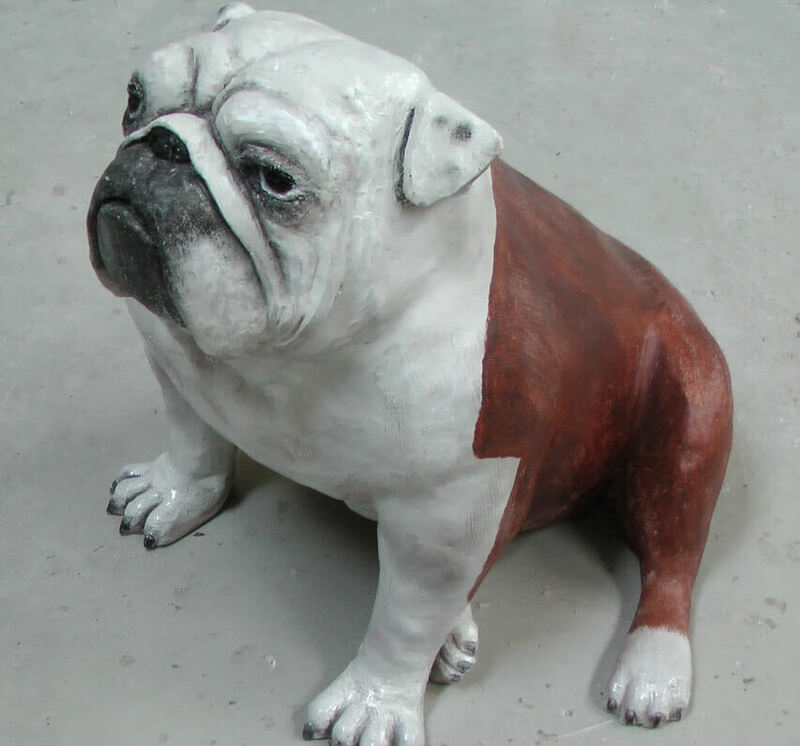 English Bulldog. 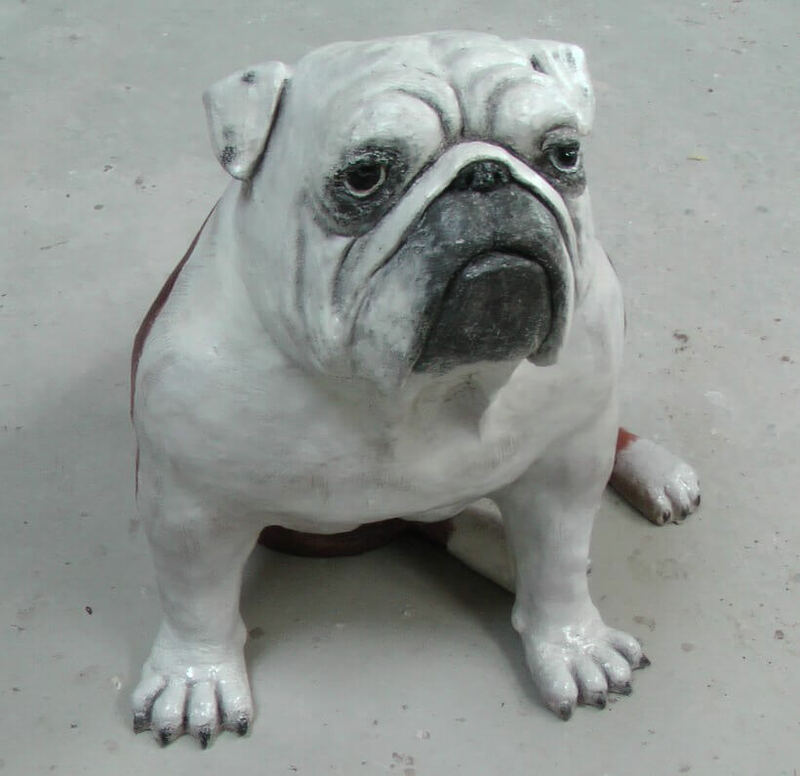 Life size, commissioned for a London client.